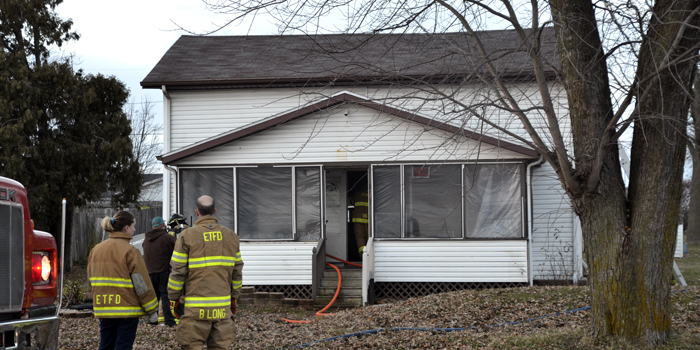 Atwood Fire Department and Etna Green Fire Department responded to report of a fire at 217 E. Main St., Atwood. 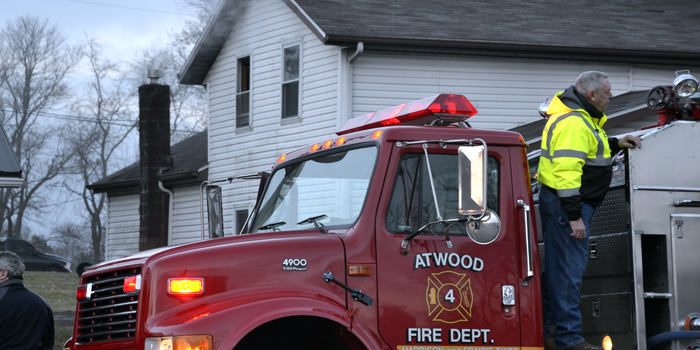 ATWOOD — At approximately 4:45 p.m. Saturday, Dec. 22, Atwood Fire Department was contacted regarding a structure fire at 217 E. Main St., Atwood. The home is situated directly across the street from the Atwood Post Office. It was reported that the upstairs of the residence was on fire and that all residents had evacuated the home. Etna Green Fire Department was soon called to assist, with requests for a tanker and manpower. Kosciusko County Sheriff’s Department and Lutheran EMS were also on scene. 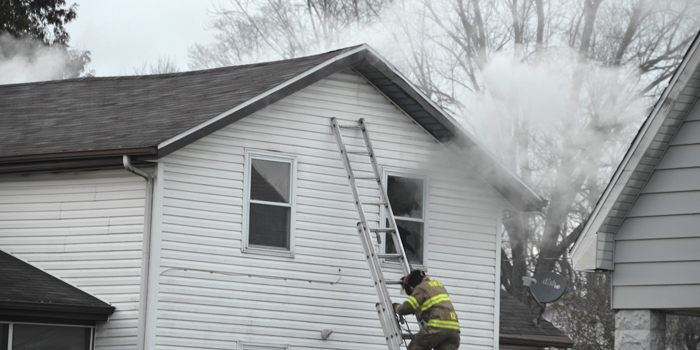 At approximately 4:45 p.m. Saturday, Dec. 22, Atwood Fire Department responded to report of a fire on Main Street in Atwood. The home is located at 217 E. Main St., Atwood.